I am a strong believer in the power of positivity. I believe it can cure bad moods and even some illnesses, but the truth is, a positive attitude can only take us so far when it comes to our health. By choosing to eat healthy and nutritious food we give our body the fuel that it needs to support our physical and mental activity. I don’t believe in diets. There are no tricks or short cuts that help us loose weight and stay healthy. The most effective way to be healthy is by learning about nutrition as well as recognizing that there are many harmful chemicals hiding in the foods of our supermarkets today. This is why I care deeply about purchasing locally grown produce and preparing it at home for my family. This is the best way for me to know and understand the ingredients in my food, unlike the 12 syllable ingredients (that I cannot pronounce) found in most prepared foods on the shelves of our grocery stores. Did you know that eating well does not have to be bland or boring? There are many websites designed to help you prepare quick, healthy and delicious meals for your family. 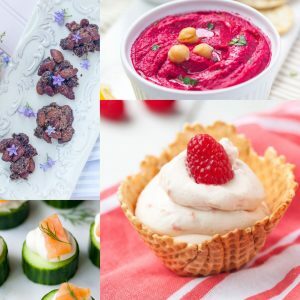 One of my favorite go to sites is www.ahealthyplate.com Here you will find an array of mouth watering recipes that not only give you the tools you need to cook up a plate of goodness but also educates you on why certain foods are good or bad for you. This site is full of vivid images that will inspire you to cook healthier meals and to do it more often. Visit www.ahealthyplate.com today to begin your journey to inner positivity and be sure to sign up for their newsletters so you won’t miss a recipe! Because healthy is addicting.